Another second chance painting, this one sends me to far off lands. This painting is a good example of paintings within paintings. Every time I look at this one I see something different, some new untold story. 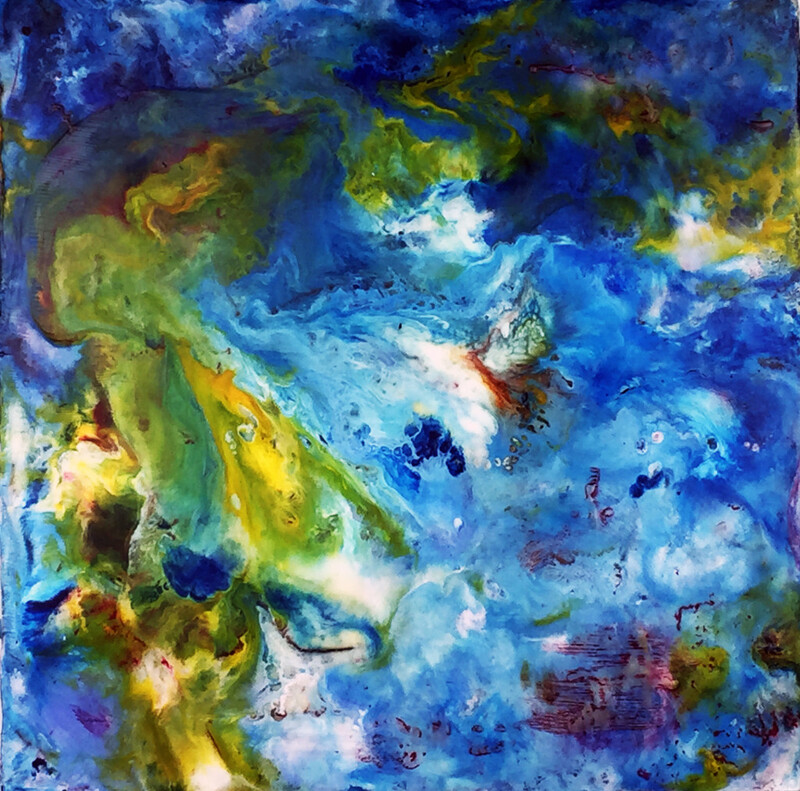 “Changing Phases” is 12″ x 12″ Encaustic and Oil on a cradled birch panel.